The Royal Darwin Show is on again from Thursday 25 to Saturday 27 July 2019 at the Darwin Showgrounds, Winnellie. 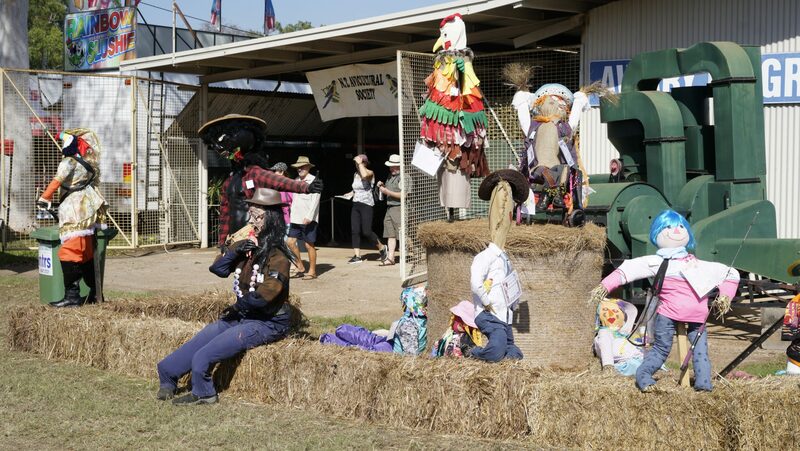 Celebrating 67 years as the Territory’s oldest and largest community event, the Royal Darwin Show offers showgoers young and young at heart an incredible opportunity to experience the best of the Territory. Come on down to celebrate the diverse talent, local produce, plants and animals, arts, cultures and more of what makes the Territory great. Royal Darwin Show CEO Cherry Court says the Show always has something for everyone, and this year’s Show will celebrate ‘the Year of the Dog’, and this will be acknowledged throughout the many categories in the Show. Below are some of the highlights during the Show’s three exciting days, and best of all, they’re free with your entry ticket. So grab your friends and family and enjoy the Royal Darwin Show! DINKUM DINOSAURS AT THIS YEAR’S ROYAL DARWIN SHOW! Don’t miss this charming exhibition which combines education with professional comedy family entertainment. There are 3 interactive sessions per day each including a 30 minute educational talk on dinosaurs followed by a 30 minute comedy dinosaur puppet show with ventriloquist Ranger Jim. The dinosaur trail is open all day and Ranger Jim will be around between shows to answer any questions on dinosaurs and fossils etc. An added attraction this year is a brand new dinosaur in the shape of a giant walkaround puppet called Tyson the T-Rex who can dance. The children can have a close-up encounter and pat him. 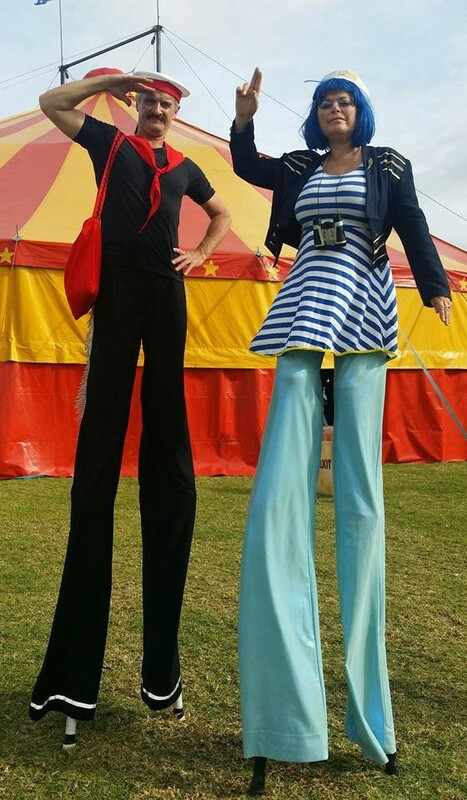 STILT WALKING, FIRE DANCERS, COORDINATION WORKSHOPS, TOY SHOP, AND ULTRAVIOLET LIGHT SHOWS. These skills and diversity allow them to travel far and wide, by plane, by sea and in ‘Ruby’ their trusty van, packed to the brim with costumes, props, toys and hilarity! To entertain and teach the young, the old and all those in between! This is the 15th Darwin Show! Daily morning, afternoon and evening shows. This immensely popular variety show is aimed at 2–8 year olds, and is also great entertainment for all ages. 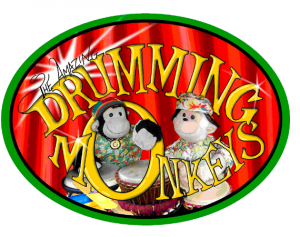 The 2 monkey puppets (Bongo and Congo) play African drums, lead audiences in songs, dances and perform magic tricks. 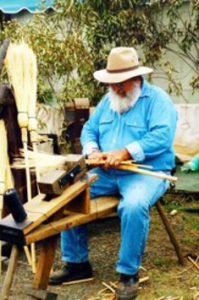 Australia’s Living History demonstrating arts of a bygone era, including rope making, broom making and butter making. Amazing old tools, crafts and dogs, ducks and chooks. It’s both fun and educational for all the family and will run continuously throughout the show. 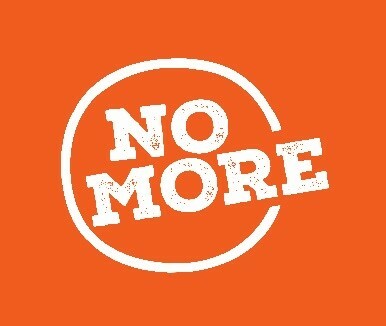 The Royal Agricultural Society of the NT is proud to support the No More campaign. You’ll be amazed by the master skills and speed of Rob Bast. Rob is a full time sculptor from Victoria who works mainly with wood and steel but has also carved ice and stone. Rob won 1st place at the 2015 Australian Chainsaw Carving Championships, 2nd place at Chetwynd International Chainsaw Carving Competition BC Canada and 4th place at the Husky Cup Germany, rated as the two biggest chainsaw carving competitions in the world. 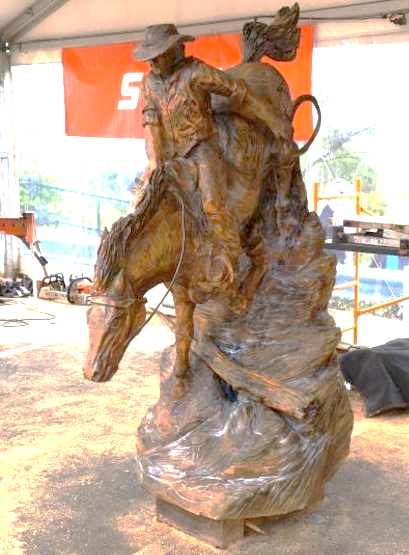 Rob was awarded first place with his piece called ‘The Man from Snowy River’ in the Australian Chainsaw Carving Championships held in January 2017. Come down and see Rob’s carving action over the three days at the Show. 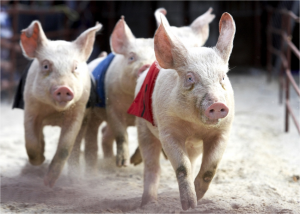 Rob will be situated near the dynamic Racing Pigs on the southern side of the main arena. You even have the chance to take home one of his unique handmade sculptures, with an auction taking place at 5pm on Saturday. But you’ll have to be quick as all of Rob’s masterpieces were quickly snapped up last year!